What do we sell on Ebay? We have items ranging from Spockets to Rubber Digger Tracks all at a good price. 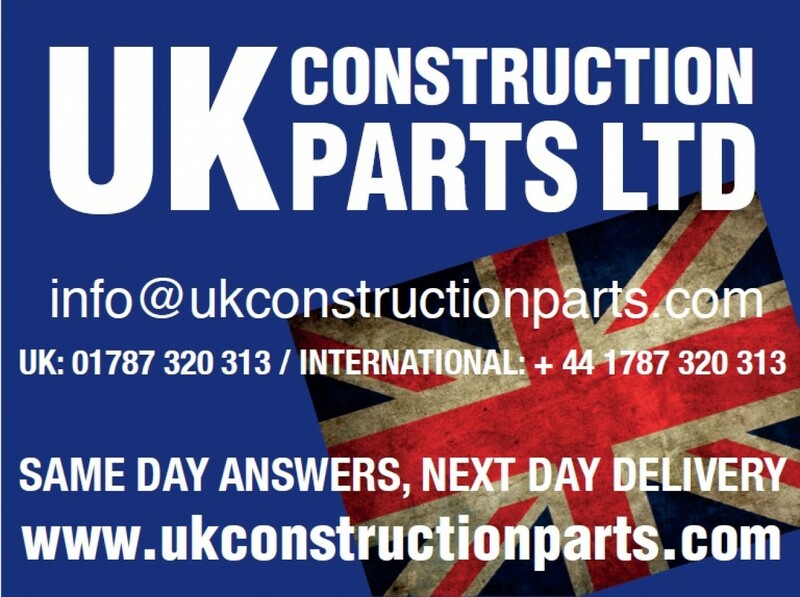 If you need any help you are more than welcome to contact us on info@ukconstructionparts.com for any queries you may have. 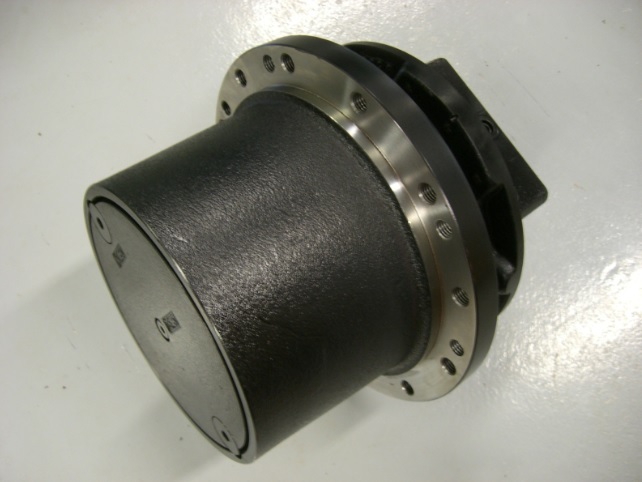 We have final drives and travel motors for mini diggers and excavators from 500kg motors upto 30 ton machines. We also have access to spare parts for many final drives. Some of the travel motors we can offer include Nachi travel motors, Bonfiglioli gearboxes, Hydash drive units, Teigin Seiki, Transmittal and Eaton final drives. Quality Mini Digger tracks ready for dispatch , call us for best prices. 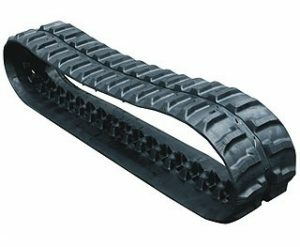 Rubber tracks for mini diggers, excavators, skid steer and dumpers all rubber track sizes and digger tracks are available normally for next day UK delivery. UK Construction parts can offer one of the widest ranges of mini digger tracks and rubber tracks for all European countries, we can deliver anywhere in the UK, Europe or the world. The rubber tracks supplied by us come from several suppliers because no one supplier can offer a full range of rubber tracks and rubber pads for all excavators, dumpers, carriers and skid steers. We have a budget range manufactured in China with a 12 month warranty that offer a cost effect cheap rubber tracks. We also offer a range manufactured in Sri Lanka & Korea by a manufacturer that suppliers to Caterpillar, JCB and other OEMs with a 18 month warranty. Our quality replacement rubber tracks bring you the benefits of the latest advances, such as short pitch construction, and Anti vibration technology. We ensure you get the correct rubber track for your machines, combined with our excellent service why would you go anywhere else ? 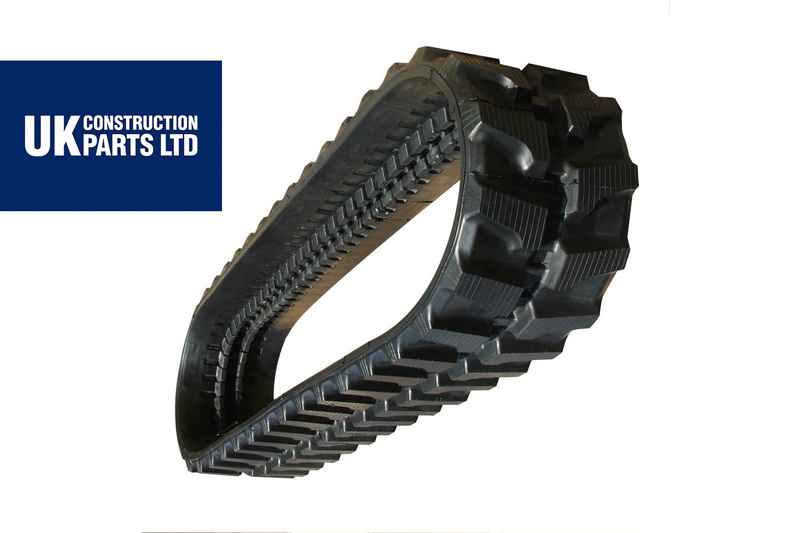 We have a huge range of rubber tracks available covering all sizes of micro, mini and midi excavator, from 500kg to 7.5 tons, as well as tracked carriers skid steers and dumpers, and other machinery. UK Construction parts can offer a wide variety of heavy duty rubber pads, clip on rubber pads, bolt on rubber pads, road liner or direct to chain rubber padsor even assembly’s that include the steel chains with rubber pads included. These start at 300mm wide and include 400, 450, 500, 600, 700 and 800mm wide rubber pads to suit many different excavators. This is just a small list of some of the tracks we have supplied recently, please note we can supply the full range of rubber tracks, for more information on any of these items please contact info@ukconstructionparts.com or 01787 320313 Part numbers and brand names are used for reference purposes and in no way indicate original equipment parts. We offer a range of brake friction plates, brake pads, brake plates, calipers and friction disc clutch parts. Contact us for more details. Rubber tracks for mini diggers, excavators, skid steer and dumpers all rubber track sizes and digger tracks are available normally for next day UK delivery. UK Construction parts can offer one of the widest ranges of mini digger tracks and rubber tracks for all European countries, we can deliver anywhere in the UK, Europe or the world. The rubber tracks supplied by us come from several suppliers because no one supplier can offer a full range of rubber tracks and rubber pads for all excavators, dumpers, carriers and skid steers. We have one of the widest ranges in the UK offering cost effect cheap rubber track solutions. We also offer a range manufactured in Sri Lanka & Korea by a manufacturer supplying to Caterpillar, JCB and other OEM track dealers with a comprehensive warranty.